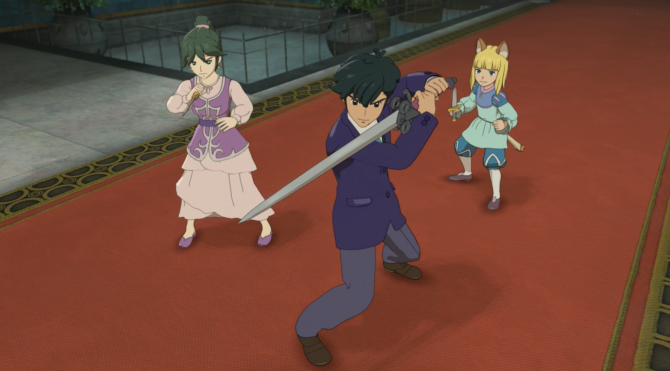 Ni no Kuni II: Revenant Kingdom starts off with a bang (literally), offering an action-packed introduction into Ni no Kuni's charming world. 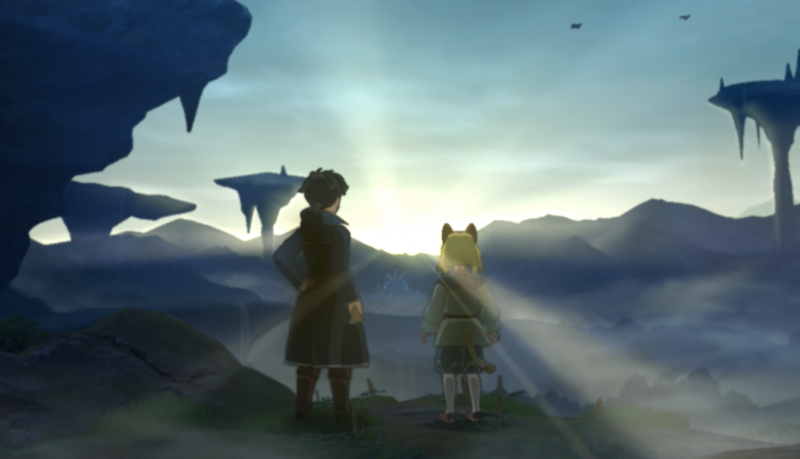 Ni no Kuni II: Revenant Kingdom is a title that’s been on many JRPG fan’s most anticipated list for quite some time, myself included. 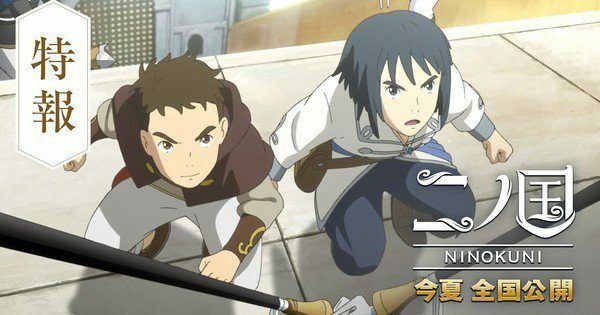 Since Ni no Kuni II was announced, there’s been minimal information here and there about how the story begins and the new cast of character’s backstories, but if this game is to be anything like its predecessor, Ni no Kuni: Wrath of the White Witch, then there’s nothing that could prepare someone for the possible huge adventure that awaits. 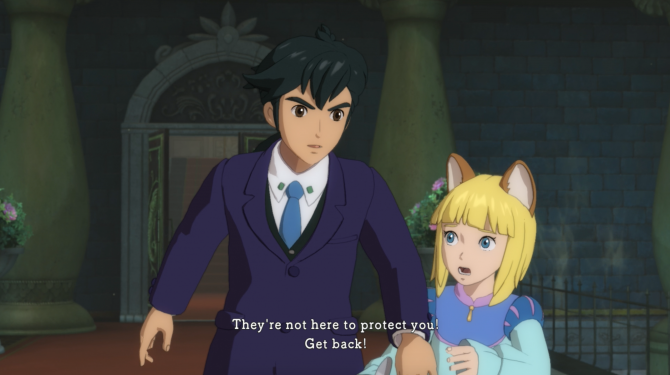 With every video game adventure comes a beginning and Ni no Kuni II: Revenant Kingdom wastes no time with introducing the principal characters and sending the player on their way. 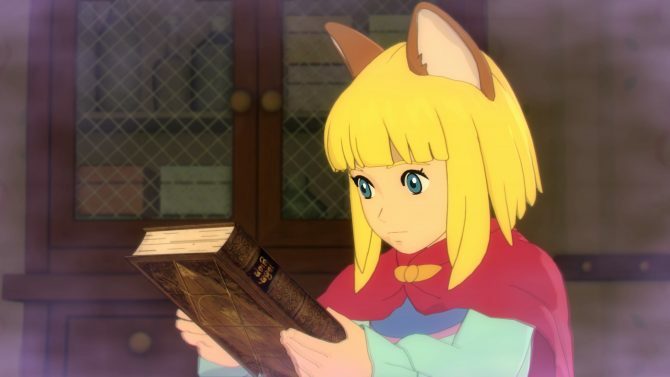 Interestingly, after playing the Ni no Kuni II at multiple press events, I have never been allowed to play through Chapter 1 –so I’d like to give my thoughts on the beginning of the game. If you’d like to know more, please check out the video of the first 30 minutes of gameplay detailed in this preview. Disclaimer: There are some Chapter 1 spoilers in this preview, please read on at your discretion. 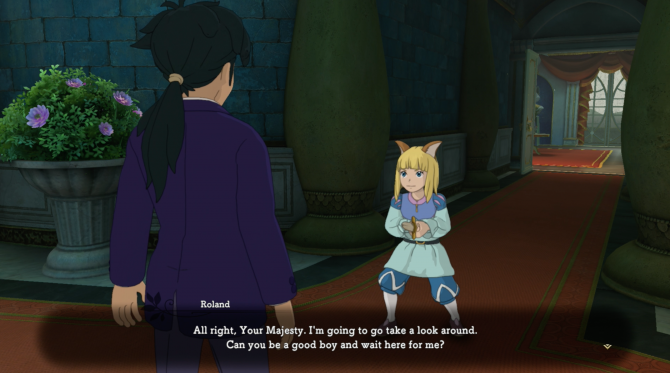 Ni no Kuni II: Revenant Kingdom begins after a short character introduction. King Evan is seen sulking in his room after learning of his Father’s death without realizing that there’s coup taking place in his Kingdom. An evil rat named Mausinger has stolen Evan’s Kingmaker and seized control of Ding Dong Dell. Suddenly a strange man from another universe named Roland appears in the room and frightens Evan. Roland leaves the rooms with Evan in pursuit, which leads Evan right into danger as he attempts to notify the guards who are trying to kill him. This leaves Roland no choice but to defend Evan and inform him that these guards are trying to kill him. The Rest of the first chapter revolves around their escape and Roland getting a handle on this new world. The dynamic between Evan and Roland is evident from the very first time they meet. In a sense, both characters need each other in some ways and it works well for the story. Roland is an experienced president, while Evan is barely becoming of age. However, Roland still sees something in Evan’s courage and motivation that makes him want to be around the young leader. Throughout the first chapter, the two learn about their differences and make up for the other’s weaknesses, which is great to see so early on in a game’s story. Furthermore, anything lacking in the party is later made up for when Tani joins and provides the street smarts that the party desperately needs. Chapter 1 spends a lot of time creating a strong relationship between the main characters that it forgets about explaining much about Mausinger. Through short scenes, we are shown the moments when evil rat gained control of Evan’s Kingmaker followed by his royal guard celebrating his new position as king, but I’m awaiting the moment that we learn what makes this character so evil. His actions are genuinely heinous as he explains how they killed King Tildrum with poison, but I am left wondering how he even came to power. Although these questions go unanswered in Chapter 1, there are many chapters left to go on this adventure so I’m not letting myself get too hung about missing backstories. As for gameplay, more specifically the battle system that has seen some changes since I first started previewing Ni no Kuni II, we get to see a variety of different systems. One of which is a unique feature that has you sneak through the castle in your escape without getting caught. Although I was caught once or twice, I enjoyed the basic stealth element offered to show me that this game has some depth when it comes to additional combat systems. 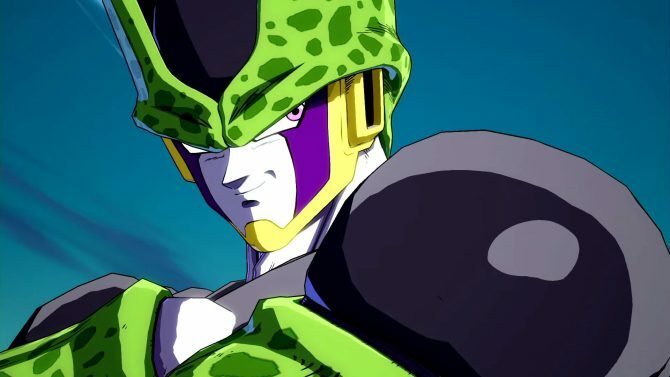 Additionally, we learn about an item called “Arms Band” which allows the wearer to equip multiple weapons as well as use special abilities and skills. Basically, it’s a decent way to explain how the party can hold onto a large number of items without becoming over-encumbered. 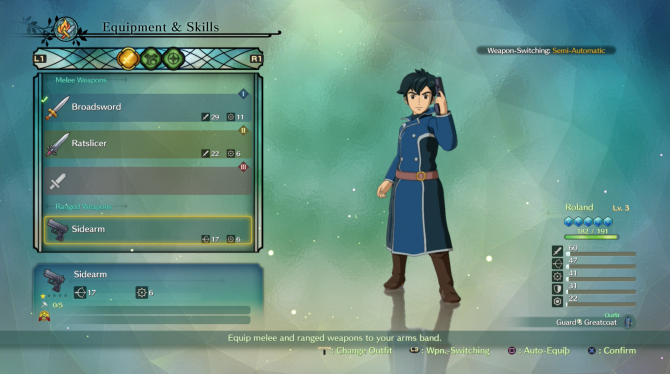 Three weapons can be equipped at a time of battle and you can switch between them at any point. Weapons can be bought, found in treasure chests, or acquired from defeating enemies. Furthermore, each weapon has a rarity value and some even have elements attached to them that come in handy when discovering an enemy’s elemental weakness. 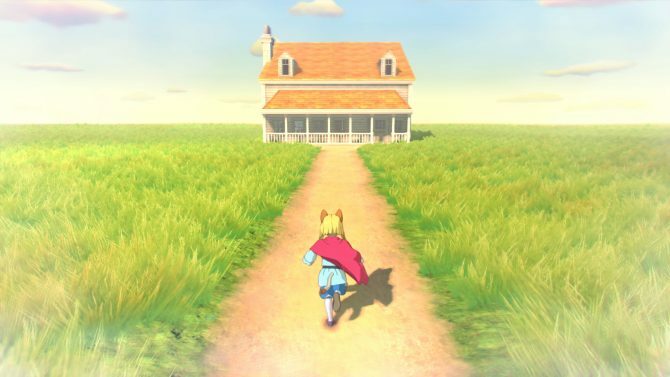 Chapter 1 of Ni no Kuni II: Revenant Kingdom is creating the right foundation for a remarkable story. The characters have chemistry with an overall premise that has the potential to develop into a lasting adventure. However, the mystery behind Mausinger and his minions are left to be seen, and the development of the various systems will be discovered in later Chapters. It’s going to be interesting to see what kind of King will Evan be, but with Roland by his side, I can easily tell that he is in good hands.